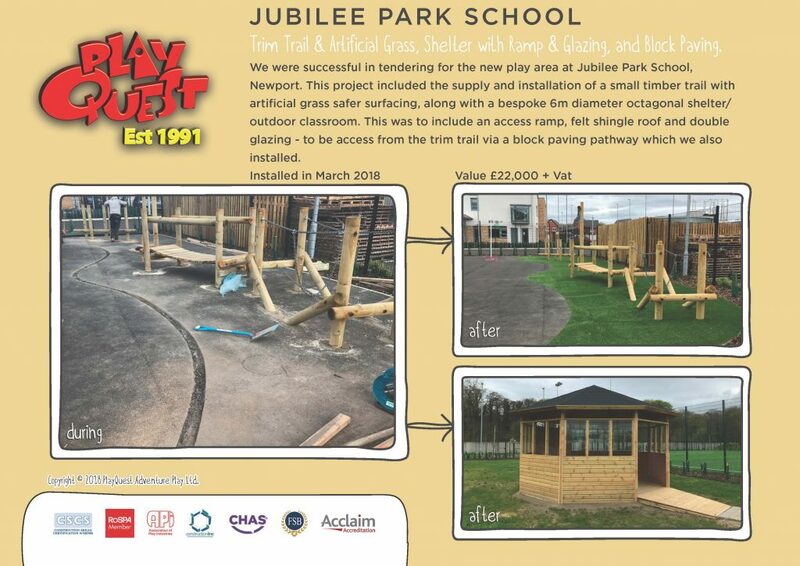 We were successful in tendering for the new play area at Jubilee Park School, Newport. This project included the supply and installation of a small timber trail with artificial grass safer surfacing, along with a bespoke 6m diameter octagonal shelter/outdoor classroom. This project included the supply and installation of a small timber trail with artificial grass safer surfacing, along with a bespoke 6m diameter octagonal shelter/outdoor classroom. This was to include an access ramp, felt shingle roof and double glazing – to be accessed from the trim trail via a block paving pathway which we also installed.